Dimensions 0.50 by 4 by 6.50 in. 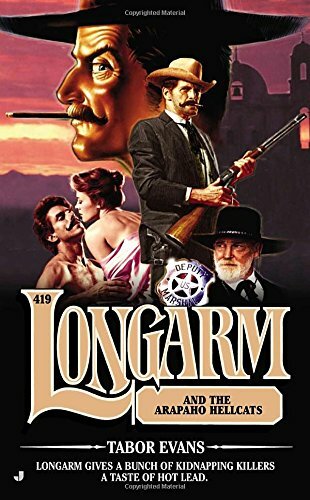 Amazon.com description: Product Description: Longarm gives a bunch of kidnapping killers a taste of hot lead. Beautiful, blushing bride-to-be Casey Summerville was all set to say, âI do!â after âTill death do you part.â She never expected her groom to die before the vows, gunned down in the streets of Arapaho by the bank-robbing Drummond Gang on their wedding day. And being carried off by the outlaws is no honeymoon. Itâs up to Longarm to catch the mangy murderers and rescue Casey, who just happens to be best friends with his lovely lady friend, Cynthia Larimer. But when Cynthia lights out on her own in pursuit of her abducted friend, Longarm has to save both of themâand wipe out the wedding crashers one slug at a time.